Based on a book of same name by Jay Anson which was inspired by the true accounts of George Lutz and Kathleen Lutz. The couple moved into their dream house on an island along with their children. Little did they know, that a mass murder was committed on the same house a year ago when a 23 year old went from room to room killing his parents and four sisters and brothers in their beds. The lives of Lutz family soon turn into a hellish nightmare. The demonic presence was so strong in the house that even the priest wasn’t able to exorcise the presence. The family fled the house 28 days later, Lutz claiming something horrible might have happened had the family stayed more. The house still stands but no one has lived there since the Lutz family left. The family admitted some of the things in the book and movies are exaggerated but not all of them. The movie grossed more than $80 million and became one of the highest grossing independent movies. A remake of the movie was made in 2005. A truly disturbing movie that is sure to leave you feeling disgusted and horrified but is unfortunately based on true events. The story revolves around a prank call that convinces the manager of a fast food joint to do unlawful and intrusive procedures on one of the employees. This strip search prank call scam were an actual series of incidents that kept on happening for ten years till an arrest was made in 2004 for a scam call at a McDonald’s restaurant. A man would prank call a fast food joint or a grocery store pretending to be a police officer and convinced the manager to conduct strip searches on female employees, as well as perform other bizarre acts. The movie grossed $318,622 in box office. The movie won the Amazonas File Festival’s Special Jury Award for Best Film and Dowd won the National Board of Review Award for Best Supporting Actress. 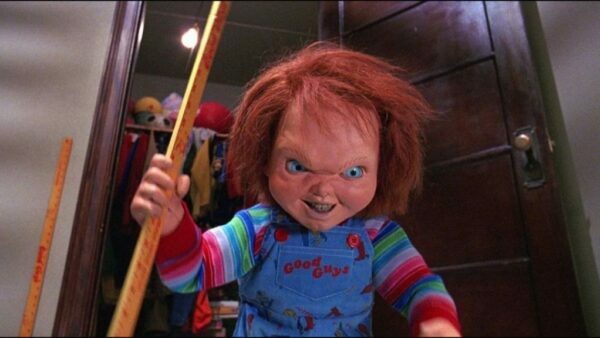 One of the most popular horror movies of all time featuring Chucky the doll, leading to a series of sequels, of course none of them coming close to the original one. The story revolves around a widowed mother who gifts his son a doll on his birthday, not aware of the fact that the doll is possessed by an infamous serial killer. Undoubtedly one of the scariest movies out there that made several families throwing away their children’s dolls in horror. As ridiculous as it may sound, this movie was inspired by a real doll called Robert the Doll. This doll was given to Robert Eugene in 1903 by a family maid. Robert loved his doll dearly and named it after him. According to his family, the doll and him were inseparable but they soon noticed unusual bizarre things about their son like Robert speaking in two distinct voices, screaming at nights, his furniture overturned and his other toys being mutilated. They started suspecting the doll and it was eventually left in the attic to be found by a girl in 70’s who soon claimed the doll was evil and was trying to kill her. Robert the Doll is now placed in a glass container at Fort East Martello Museum in Key West, Florida. Many claiming a number of strange occurrence happening around the doll. 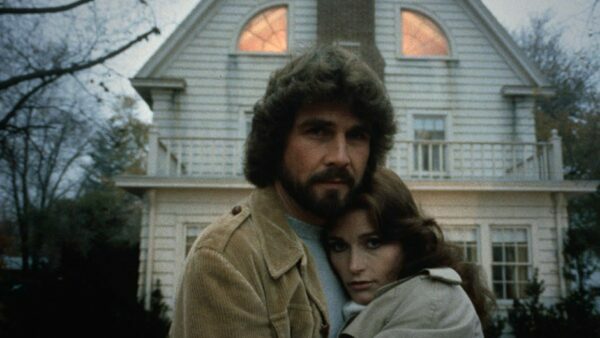 The movie grossed $44 million and quickly gained a cult following. It resulted in five sequels, as well as comic books and merchandise. Hicks won the Saturn Award for Best Actress, while the movie also received several nominations for Saturn Awards, including Best Writing, Best Horror Film, and Best Performance by a Younger Actor. Based on a novel of same name, this movie narrates the story of a woman who is tormented and raped by an invisible demon. This movie was partially based on true events in the life of Doris Bither who claimed three evil spirits torment her. This turned out to be a prolonged police case in which the officers on this case found that she have had an abusive childhood and had been abused by several men in her life. The investigators doubts disappeared when they witnessed bruises on Bither’s thighs and all over her body and even the neighbors claimed to have seen apparitions around the house. The paranormal investigators were only able to capture a free-floating arc on top of Bither as she sat on her bed. Nothing else was detected or revealed. After leaving the house, Bither claimed that the evil spirits kept following her wherever she went. No one heard of her after the late 80’s till 2009 when her son came forward for an interview and revealed his mother passed away in 1995 from pulmonary arrest. The movie grossed $13,277,558 and Hershey won Avoriaz Fantastic Film Festival’s Best Actress award. Another terrifying flick based on a novel of same name by Jack Ketchum which was loosely based on the real life events involving the torture and murder of Sylvia Likens in 1965. A teenaged girl is horribly abused by her caretaker, who also encouraged the neighborhood boys to torture the girl. Although this movie is an exaggerated and fictionalized version of the events, the fact stays the same that these disturbing events actually happened to a girl. Sylvia and her sister were left under the care of a neighbor, who had seven children of her own. A week after the torture by her caretaker started who somehow focused more on Sylvia. She was deprived of bathroom facilities, food, was hit by fists, belts, hoses, and had objects inserted into her body. She eventually died of brain hemorrhaging, malnutrition and shock. Her body was found with the words “I’m a prostitute and proud of it” burned into her stomach. Baniszewski, the caretaker, tried to cover up the murder but Sylvia’s sister revealed to the police what was actually happening in the house. Baniszewski was found guilty of murder and received a life sentence, but was released after 20 years. Her daughter was convicted of second-degree murder, and three neighborhood boys received a sentence of 18 months.